A historical novel in Akashic’s Kaylie Jones Books imprint. People were doing all sorts of screwy things in 1929: They called their era the Jazz Age, the Roaring Twenties. It was a time of boundless hope, optimism, and prosperity. “Blue Skies” was the song on everyone’s lips. The tabloids were full of flagpole sitters, flappers doing the Charleston, and marathon dancers leaning on their partners through endless nights. But everyone agreed that the stunt pilots took the cake. Ever since Charles Lindbergh had flown the Atlantic solo, the entire world had gone nuts over flying—even women were doing it. Jenny Flynn defies the odds and conventions. “You can’t fly in a skirt,” she snaps in response to a question from Laura, an equally brash young woman who is crashing through her own glass ceiling while reporting for a New York City newspaper. The two continually clash as Laura chases the story, following Jenny’s barnstorming escapades across the Midwest. 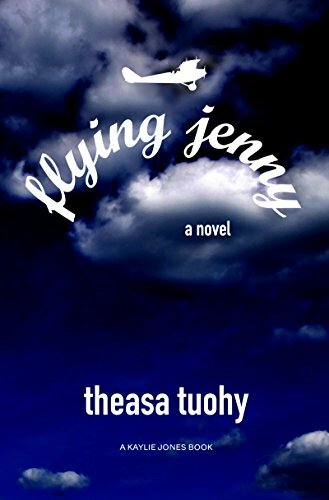 Flying Jenny offers a vivid and exciting portrait of an earlier time when airplanes were such a thing of wonder that crowds of spectators swarmed onto runways for a dangerous view of the exploits of the pioneers—men and women—of flight.